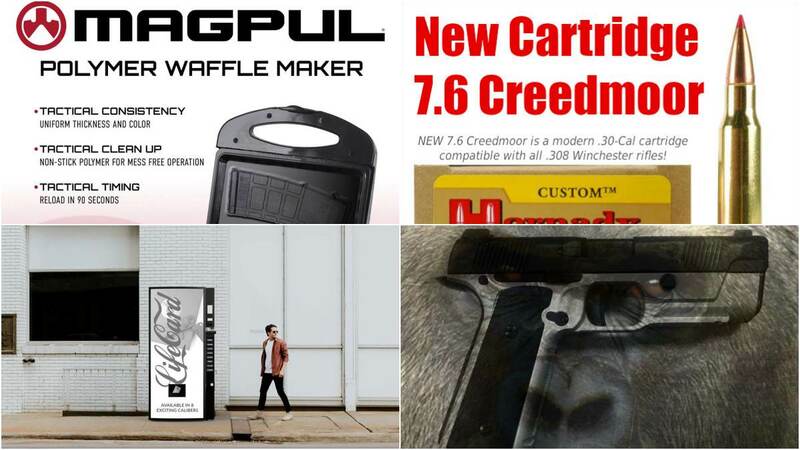 From Magpul waffle irons to quadrupedal Kalashnikovs, there was a lot of fishy new products announced on April 1– all NFA rules apply. Brownells set the bar early with their semi-auto-only BRN-134D Mini-Gun for the low-low price of $125K– although all components are backward compatible to the standard Dillon Aero M134D. Whoops, it’s already sold out (wink). 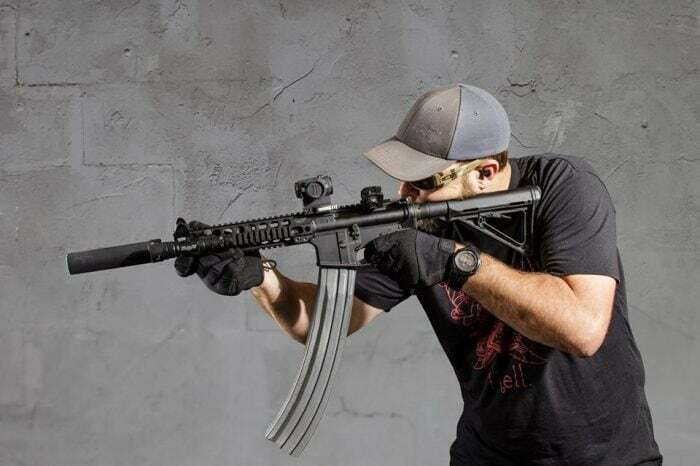 Jim Fuller’s Rifle Dynamics in Las Vegas, home to some of the best domestic AKs there are, announced the first quadrupedal running Kalashnikov. “The RD704R features an 11.5” barrel, our tunable gas block, SLR Rifleworks rail, 30rd magazine, and a top speed of 19mph,” said the company on a very well mocked up product page. Also in the world of AI-enhanced gun and gear, Vortex optics announced their C.O.B.R.A– the Combat Optic Battle Ready Assistant– which was an Alexa-type personal assistant that can dial in your scope for you. In hindsight, this is probably a marketable item. Speaking of optics, Walther dropped the April Fool’s news that they have a version of the ordinarily compact and svelte PPK/S available with an optic cut for a Trijicon RMR while also sporting a Surefire X300 and muzzie device. “Why wouldn’t we? Who wants to preorder? #KiddingNotKidding,” said Walther. To add to the fun, SureFire announced that “In honor of the recent win in California” when it came to magazine bans being dashed, they were offering a 300 round quad stack 5.56 magazine, the SFMag-300. Not to be outdone, Magpul announced a polymer waffle iron for PMAG-shaped morning carb loading (“You’ll stop skipping breakfast.”) while Accurate Shooter unveiled the low-down on the new 7.6 Creedmoor (which is identical to .308 Win). This came as Trailblazer Firearms showed off a Life Card Vending Machine (“Our initial plan is to start distributing these within California, Massachusetts, and Maryland”) and InRange TV said the Cincinnati zoo has placed an initial order for 20 Hudson H10 “Harambe” models in 10mm. That’s a really interesting day at SHOT Show right there. 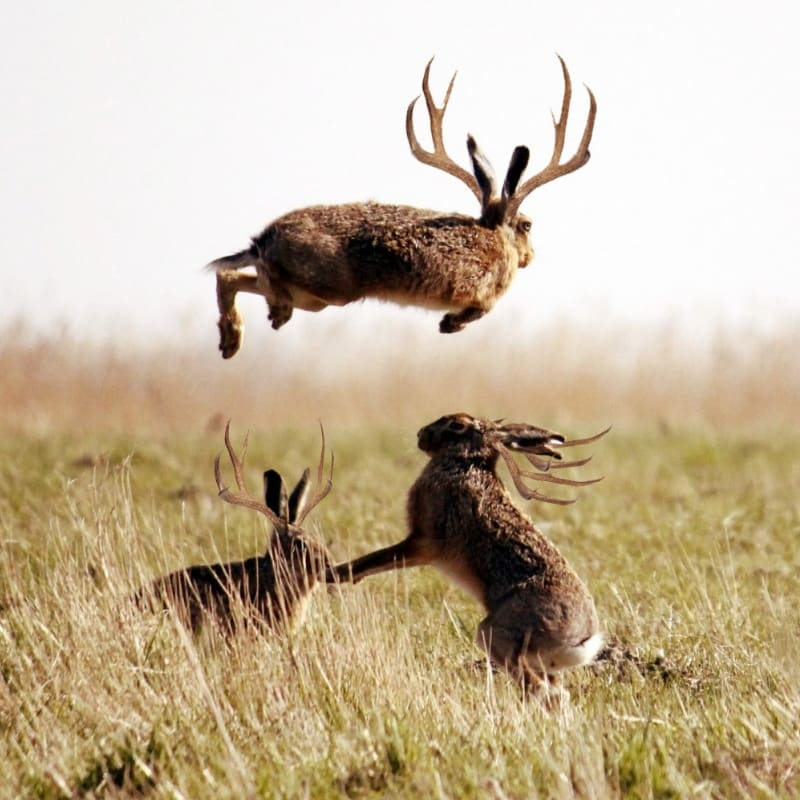 Finally, Texas Parks and Wildlife let the public know that Lockhart State Park is the official home of the majesty that is the State Jackalope Herd. If only they could bring back the elusive and lovable Nauga, the couch at Guns.com’s warehouse needs a new cover.